Every time the National Rifle Association (NRA) or its political allies block any form of gun control, people throw up their hands in complete frustration trying to figure out why the NRA will, seemingly, never agree to any sort of reasonable gun control. The answer is quite simple: the NRA believes that any degree of gun control is a slippery slope which will inevitably lead to more restrictions on the use of fire arms. Once you appreciate the NRA’s “logic,” their positions—as backward and anti-social as they are—take on a different meaning. What is critical that one appreciates is that the NRA is not so much focused on this or that piece of gun control legislation. I would wager that they probably care little about whether a clip has three bullets or 300. What they care about is that restrictions on any ammo clip will result, over time, in greater restrictions on guns. It is, therefore, important that those of us who believe that it is not a great idea for mentally disturbed individuals to have access to firearms, to never assume that passionate pleas to the NRA or its political allies will work. The NRA has inoculated itself against passionate pleas. The ghosts of the children killed at the daycare center in Newtown, Conn. could appear in front of the headquarters of the NRA and it would make no difference. In appreciating what motivates the NRA one must, therefore, understand that winning reasonable gun control, e.g., universal background checks, will not happen through television commercials or the tears of victims of gun violence. Such legislation will result from raw power and intense organizing among the public. The NRA is a very well-funded and well-organized lobby that has the capacity to put the fear of God into many elected officials. The only way to counter that is not through attempts at compromise but rather by developing a sufficient counter-force that will cause elected officials to pause before they give away the store to the NRA. A country built on racial slavery and genocide finds it difficult to accept that there need to be controls over the use of firearms. That history of rampant, frequently uncontrolled – yet directed – violence is the toxin which is in the political system that periodically produces moments of complete insanity. This toxin leads too many people to believe that having nearly unfettered access to firearms is paramount regardless of how many innocent individuals lose their lives. It is not the 2nd Amendment that fundamentally motivates uncompromising firearms fanatics, but the fear that was engendered through the scars resulting from the violent history of this country. Given that history, the NRA is successfully able to play a tune to which so many will dance. In the bizarre universe which the NRA has constructed, built upon and within a very real and violent history, it all starts to make sense…and is equally sickening. Bill Fletcher, Jr. is a Senior Scholar with the Institute for Policy Studies, the immediate past president of TransAfrica Forum, and the author of “They’re Bankrupting Us” – And Twenty Other Myths about Unions. 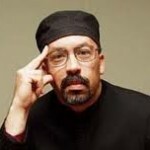 Follow him at www.billfletcherjr.com.